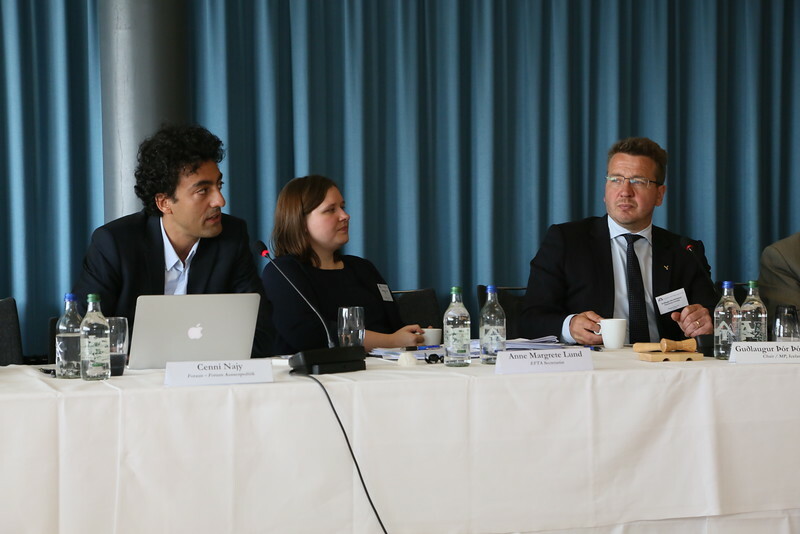 Researcher Cenni Najy briefs the EFTA Parliamentary committee on the results of the UK referendum. Chair Gudlaugur Thór Thórdarson on the right. Anne Margrete Lund from EFTA Secretariat in centre.